“Triple Throwing Sports an advanced simulator for competitive throwing. 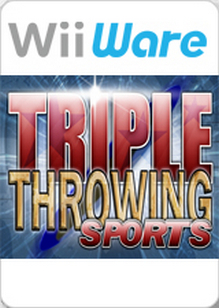 Triple Throwing Sports is an advanced simulator, immersing the players in the world of competitive projectile throwing. Triple Throwing Sports is the most advanced recreational throwing game available for the WiiWare service, immersing the player in the world of competitive projectile throwing. Most events consist of activities that are traditionally derived from hunting and combat skills. Over time these practices have evolved into a variety of competitive sports that include Javelin, Discus, Shot Put and Hammer.